This is Simply THE BEST Broad Spectrum Sunscreen I have EVER used!!! Call for your Pro Price. 10 years ago I asked a famous NYC Plastic Surgeon for advice on the best progressive product, treatment or cream for staying young. I prepeared myself for him to tell me about some $700 cream or $800 laser treatment. Instead, he leaned over and whispered, "Wear SPF, every single day of your life!" I took that message to heart and have been experimenting with facial sunscreens for my delicate, sensitive and acne prone facial skin ever since. There are plenty of great SPF's for the body, but my experience with finding "the perfect" SPF for the face has been a challenge - until now! 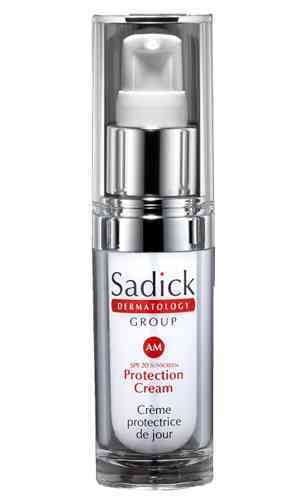 I am on my 3rd bottle of Dr. Sadick AM Protectoin Cream... and my skin has NEVER looked, felt or glowed better. My experience with other facial SPF's are that they make me terribly oily or they breakout my combination skin. 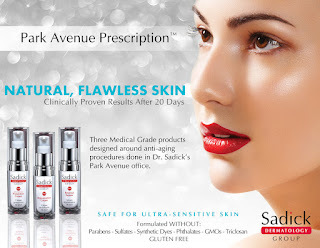 Regardless of oil-free claims or ads for "lightweight" consistency - I have found that most prestige brand SPF's have left me and my make-up slippery, greasy and bumpy after only a few hours of wear. What I have noticed (and dozens of my associates as well) - Use of this product instantly improves skins appearance, tone, and texture! 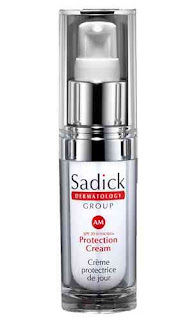 This AM Protection cream uses a technology called Active Glow™ that is a combination of light diffusing pigments and barrier protectants that instantly improve the appearance of skin tone, texture and radiance - seeing is believing! A Built in make-up primer means that my make-up stays on ALL DAY! Even through 6 hours of plane travel and 12 hour work days!! It even holds my mineral make-up in place PERFECTLY during ZUMBA!! 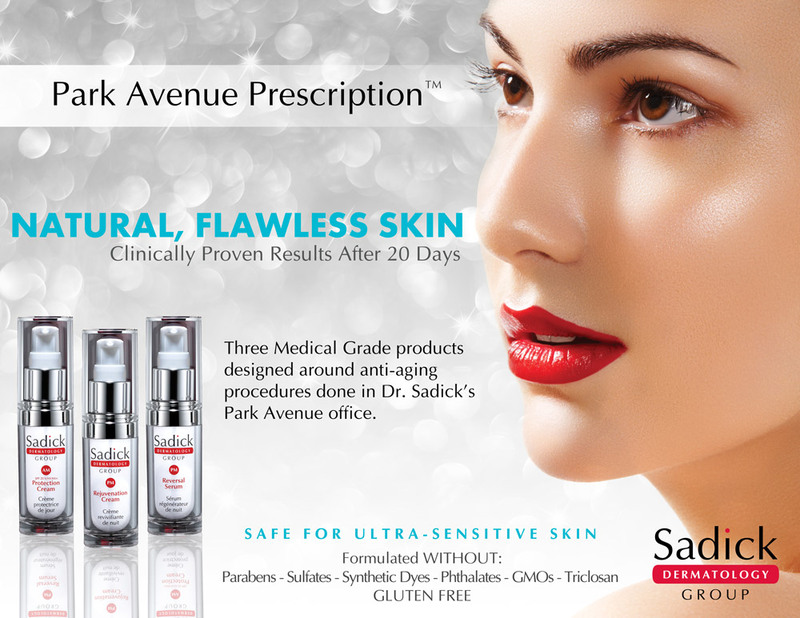 I can't say enough wonderul things about this product!!! - Antioxidant capacity almost double green tea extract and 400% higher than vitamin C.
Red Algae. Amino acids produced from red algae help to maintain the smoothness of the skin and prevent premature skin aging by protecting against UV radiation-induced lipid oxidation.